August 31, 2010  A reputed drug lord believed to be involved in a brutal turf war is in custody. Mexican federal police say they arrested Edgar Valdez Villarreal near Mexico City. Valdez, aka "The Barbie," also is wanted in the U.S. on drug trafficking charges. August 29, 2010  The 72 migrants found gunned down in Mexico this week were from Central and South America. The massacre has terrified migrants, who know it's not uncommon to be seized and held for ransom while transiting Mexico. 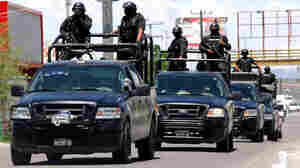 August 26, 2010  Drug cartels have stepped up abductions for ransom as a way to supplement their income. The government has called for stiffer sentences and million-dollar rewards, but the number of kidnappings continues to rise. August 26, 2010  Authorities in Mexico are expressing shock at the discovery of a room strewn with the bodies of 58 men and 14 women. A wounded migrant says the victims were killed by a drug gang. The gang, started by former soldiers, is known to extort money from migrants. August 25, 2010  Authorities have found the bodies of 72 people at a ranch near Mexico's border with Texas, apparently all killed in recent days. The Mexican government says that the 58 men and 14 women found murdered could be migrants from Ecuador, Brazil and Central America who were heading to the United States. August 6, 2010  The drug war has dominated President Felipe Calderon's term in office, but despite his declarations to the contrary, there are few signs that he's winning. In Mexico's Congress, there have been calls for the government to give up the drug war entirely and legalize all narcotics. August 5, 2010  Tourism is traditionally Mexico's third largest source of revenue. But drug-related violence in the past 3 1/2 years has claimed some 28,000 lives and sent foreign tourists looking for other holiday destinations. 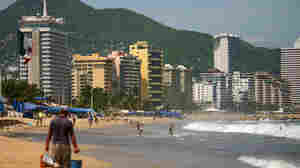 In Acapulco, the beaches are still inviting, but international tourists are scarce. 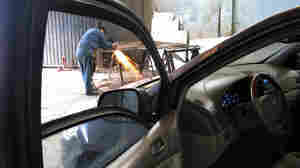 August 4, 2010  The spike in violence in Mexico has been a boon to the security sector, including the armored car industry. 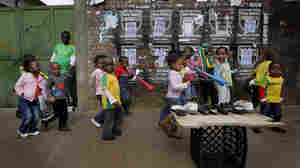 Fears of gun attacks and kidnappings has some spending thousands. August 3, 2010  Covering the drug beat is dangerous. In some parts of the country, reports about drug-related crime simply do not appear in newspapers or on news broadcasts. Reporters have been abducted and killed and their families threatened. 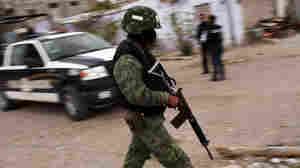 August 2, 2010  More than 3 1/2 years after Mexican President Felipe Calderon declared war on the drug cartels, violence in Mexico continues to escalate, with 2010 on track to be the deadliest year so far. And there is no end in sight to the attacks that reach all levels of Mexican society. July 26, 2010  Businesses in the northern Mexican city of Monterrey have started to come roaring back from the global economic downturn. But a wave of killings, extortion and kidnappings associated with the drug trade is making investors skittish and limiting new ventures. July 26, 2010  Cubans celebrate Monday the 57th anniversary of the armed revolt that led former Cuban leader Fidel Castro to topple Fulgencio Batista. But the country is now facing a host of problems from corruption to economic stagnation to imprisoned political dissidents. July 21, 2010  The car bomb could've killed many more people if it had gone off at another time. 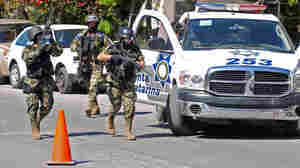 July 21, 2010  Less than a week after a car bomb killed three people in Mexico's northern border city of Juarez, cartels are threatening more attacks. 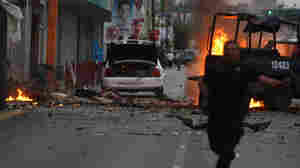 The car bomb marks an escalation in Mexico's war on narco-traffickers. Some observers are calling it the "Colombianization" of Mexico. July 12, 2010  NPR foreign correspondent, Jason Beaubien, writes about the significance of the World Cup now that his kids are old enough to care. Maybe he'll be on assignment in Brazil for World Cup 2014.